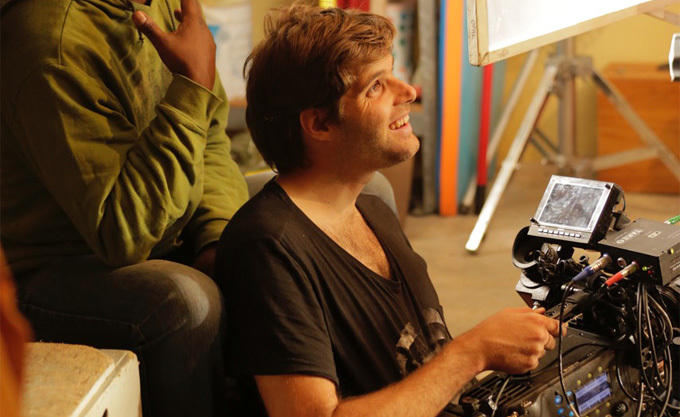 Wayne de Lange, owner of Silver Bullet Productions, won the prestigious award of Best Cinematographer for the collaborative short film Thread at the 48 Hour Film Project Filmapalooza on 1 March in Los Angeles. The all-female cast, under the guidance of Silver Bullet and Best Light Films and directed by Diana Keam, took home 11 awards at the annual award ceremony in November at the Cape Town 48HFP awards, including Best Film, Best Cinematography, Best Production Design, Best Musical Score, Best Editing, Best Directing, Best Use of Line, Best Costumes, Best Actress, Best Producer and Best Supporting Actress. This weekend, the 12th award of Best Overall Cinematographer was added to the batch. The 48 Hour Film Project is the world’s largest timed short film competition, taking place across the globe in about 130 cities each year. Each team is given a genre, a character, a prop and a line of dialogue to work into their films. Thread is a silent film that looks at a mother-daughter relationship under stain in the wake of the death of a family member. Its haunting cinematography and compelling musical score have been praised over and over – and for good reason. Although Wayne began his career shooting surfers, he quickly became an accomplished water cinematographer, working with Universal Pictures in 2010 as part of the ‘water cine’ on Blue Crush 2. He was also water cinematographer on Perfect Wave with Scott Eastwood two years later, shooting both in South Africa and abroad in Uluwatu, Indonesia. His creative, hands-on approach and his drive to get the shot no matter the circumstance, have led to his cinematography win at 48HFP, and have also made him a sought after DOP both in the water and out.